In learning about music and it’s past, there are tons of amazing bands that have been chewed up, spit out and thrown away by the wayside. One such band was Jellyfish. Today I’m taking a look at Baby’s Coming Back by Jellyfish which happens to be one of my favorite bands that never made it huge. The beauty of their writing was the heavy influences from the 70’s with bands like Wings combined with goofy image like glam rock. The heart of the matter was most definitely the amazing songwriting by Roger Manning and Andy Sturmer. The amazing thing about their songs, other than how catchy they are, is how clever the lyrics are and how well they work the melody with the chords. It’s the total package. I’m saddened that they didn’t catch fire with the consuming public. Alas, you can enjoy them still. Why can’t we drink forever. Something but the past is done. Why can’t we sleep forever. Just want to start things over. Enjoy my take on it. Make me happy by hitting the YouTube subscribe button. Share it all around. Last night I played a little gig in Novato CA. The man in charge came up to me saying how amazing my songs and the performance was. When I enquired about further bookings in the area I got asked about notable things I’ve accomplished. I started to rattle of a list and the guy said – but do you have a following in the area. My take on it was that he didn’t care about the accomplishments. Later last night I read a blog post linked by a friend of mine that was about a musician who refuses to audition for TV shows such as The Voice, American Idol, America’s Got Talent, Rockstar INXS, et al. This got me to thinking about an experience I had with a TV audition and trappings that go with ’em. Get settled in, cause this is a little long. 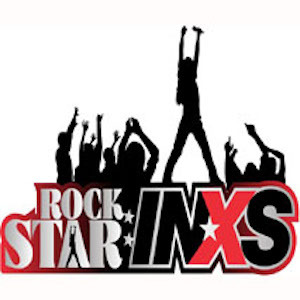 Several years back there was a show called Rockstar INXS wherein INXS teamed up with a production company to make a show out of finding a new singer for their band. I had numerous friends suggest that I try out for the show. Personally, I wasn’t all that into auditioning for TV shows after seeing some of the results of American Idol. However, it was certainly flattering that friends felt I should front a popular band known the world over. I started getting calls from various friends who were being contacted by the production staff who were looking for specific recommendations for people to audition for the show – not the typical video-yourself-cattle-call thing. I got about 5 of those calls all from different people all saying exactly the same thing “They’re looking for X quality and the only person I can think of recommending for this is you.” So I relented and said yes, you can recommend me for a private audition. Which was how it was presented to me. I got a call from the production company for Rockstar INXS giving me all the details, the time, the date, what not to wear, what not to do. I said no problem I’ll be there. I replied saying that you guys called me, I have a recording session I have to be at at 3:00, obviously that’s a cattle call line. If you want me to audition great, if not, I can go. He then said “Hold on.” Turned, walked inside and brought someone higher up the food chain for Rockstar INXS who came out to speak with me. Said person had a manilla envelope with my name written in sharpie. He said “Fill this out and then come inside.” Then he handed me a pen. I stood to the side and pulled out a contract which I proceeded to read through. There was one clause in the Rockstar INXS contract that stated any song I perform, the rights would revert to them in perpetuity. Knowing that I wasn’t about to give up the rights to a song for an audition, I decided to scratch out that clause. Initial it, then signed it. I put the contract back in the envelope and proceeded back to the front door to go inside. The nice person that gave me the contract then shuffled me to the front of the line for my Rockstar INXS audition (not all that private in reality). Which incidentally winded around the room along the wall, until it passed the film crew and ended up at the side of the stage. There was actually two people in line or rather on deck. The “musician” on the stage at the time I was put in line was doing everything the production crew for Rockstar INXS told me shouldn’t be done. He was dressed like Michael Hutchins, he was “performing” an INXS song, and he was doing the moves from the video of that song. Fortunately there was a musical friend whom I knew next to me in line, Kat Parsons. We chatted a bit as we were wondering why this guy was doing everything they asked people not to do. Oh well. Kat got up, did her thing very well for the Rockstar INXS peeps. Then came my turn. As I walked onto the stage, the stage hand had adjusted the mic to what he thought was the correct height. I walked up to the mic and stood behind it only to have to come up to about my collarbone. I made a move to adjust the mic at which point the stage hand came running out stating I wasn’t allowed to adjust it on my own. Ok, weird. He got it adjusted and I stood back at the mic that was now towering over his head. Guess, he didn’t realize, I’m tall. The director proceeded to ask me some questions which I answered and got some laughs with. Then they asked about the song, I gave them the story behind it. They asked me to play and I proceeded to roll with the song. When I finished I got an unexpected response. The whole room erupted in applause, starting with the production crew. This didn’t happen for any of the artists I had seen prior to me. I caught sight of the guys from INXS who were sitting in the upstairs private area. Even they were applauding. As were other musicians in line around the room. It was pretty strange. But Jody – we never saw you on the show. This I know. I never got a callback for Rockstar INXS. For a short while afterwards I was a little bummed that I got such a great response from the film crew, even from the band and never got called for the show. Life goes on and I didn’t really think much of it. That is until a year later. I got another round of calls from people saying hey this show is coming and the only person I can think of that fits the bill is you. This time the show was called Rockstar Supernova, by the same production company as Rockstar INXS. I shined it on until another friend, Brian Austin Whitney, called and very pointedly asked if I would audition and also asked if I could recommend a few other friends. So I came up with a list of several people that I figured would be great for it, including my buddy Jeff Scott Soto. Brian gave the list to the production company. I never got a call. Brian called me back saying hey – did they call you for an audition. I said no and he replied thinking it was a bit weird because they were asking him for more names. People I had recommended all got called, I did not. So Brian made another list and put my name on it again. Brian called yet again to ask if they had called me and I said no. Apparently they were asking him for even more names, but were not auditioning me. So I told him the story about Rockstar INXS, which you’ve now read about. He stated, well, you’re only looking out for your interests, I’m going to ask them why they won’t call you. I heard back from Brian a few days later, but all he could say was they wouldn’t give him a reason as to why they wouldn’t call me. I don’t think it takes a rocket scientist to figure it out. Regardless, I’m not bitter about it. Though I will say it was disappointing to be passed over strictly because I wasn’t willing to sign away my rights to a song on the spot. Any good lawyer worth their salt would have negotiated that point. About a year ago, I was called by yet another friend asking if I would like to do a special audition for America’s Got Talent. I said sure. So he sent the producers forms over for me to fill out. Can you guess what happened? I haven’t seen you on that show either Jody. I don’t begrudge people that are looking to fast-track their roll in the music business. However, as an observation about these shows – very few of the winners and contestants go on to have meaningful careers. Doesn’t mean it can’t happen, but it’s a pretty small amount. I’ve met several people who have been on those shows and gotten to the semis and the finals. Most of them have gone back to their hometown and back to their day jobs. Only one that I personally know, and have worked with, has turned his time on The Voice into something that is working for him. That’s Will Champlin. I applaud him because he’s really been able to use his 3rd place finish as a great springboard. Plus he’s still an excited musician and down to earth dude. Will is a career musician and as far as I can tell, always will be – no matter what. Which is what I am. As I’m finishing up new songs, I’m now working harder than ever to get things to percolate and rise. 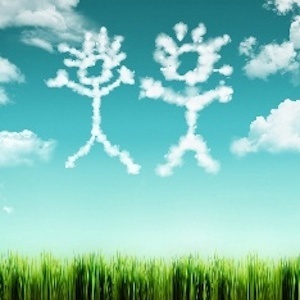 One person at a time, until it becomes thousands, then 100s of thousands, then millions. It all comes down to the song and the performer and the audience and the word of mouth. Besides there’s nothing like bouncing back after you’ve lost everything and been homeless. p.s. – have you signed up for my email list? p.p.s. – Feel free to comment, discuss, and chat about your TV experience. 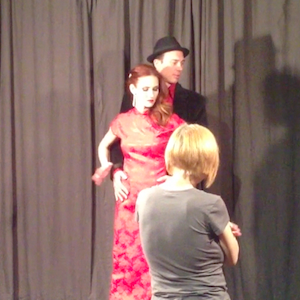 Late last week I got my first dose of shooting a music video where I’m being choreographed for movement. That was a very different experience. Yesterday afternoon I got a message from the video director that the footage came out ok. I was a little worried about it, but alas I’m likely worrying about nothing. One thing that was fun and hard was learning to do some dance moves and making it look like I’ve been doing for years – and singing at the same time. New experience. I’ve got a Touch teaser trailer for you as I’m excited for getting the song Touch out with a music video when the song launches. Thus if it ends up taking a little more time to get it all done, then the release date will wait until it’s all set. Until then, enjoy a little bit of video from the behind the scenes of the making of the Touch teaser music video. 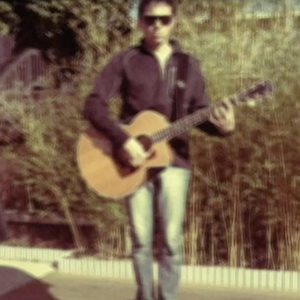 Enjoy and stay tuned, more video and the release of the song is coming soon! 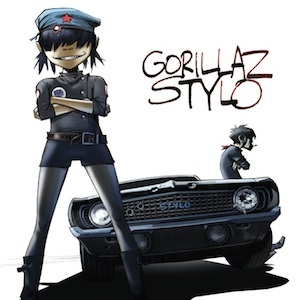 Having just shot the video for Touch last night and being that there are elements of Touch that sound like they were inspired by Gorillaz, I had to throw in today’s Throwback – Stylo by Gorillaz. One it’s a cool tune. Two, it’s got that indie but high budget feel. I really like how they took the previous elements of their animated characters and moved them into a more “real” world, rather than an animated world. I’m excited to see how Touch turns out, however we have more shooting we’ll have to do. Much like how Bruce Willis gets out at the end of Stylo to check and make sure he has to shoot ’em dead if he finds ’em. As I’m getting geared up and ready for a massive all night shoot for Touch. I’ve got a special little [Tweet “teaser trailer”] for you that gives a small taste of what’s coming next in the single “Till We Meet Again”. There’s a new studio involved. New people are involved. Obviously it’s a new song. A trailer that will get your curiosity up. What did we talk about in studio? Are there technical difficulties? Simple instructions for awesome recording? What feelings are getting evoked? No, I don’t think I need the click. That’s why I put the two bars of the drums up front. Ha. Simple instructions of course. This is not really a power ballad. How would we describe this song? I’m just trying to think of like. I’ve been trying to describe the song to people and I’m really not sure what to tell them. Oh it didn’t work there. We’ve just discovered a bug. I. I like it. Especially if I, if I, if I bring the low one in the beginning and kinda like shift the focus from the low one to the high one over the harmony. I go for the feel. Like whatever makes me feel something (YES!) or what makes me kinda feel like I, (yeah) I don’t have words anymore. (yeah yeah). That’s. That’s. You get that little buzz to. I get a buzz when it happens. It’s like I can feel it. Ah yeah, when I’m in the studio and I’m cooped up for too long, I need to get outside. Such was the case while I was in the studio during the recording of Touch. I needed a break and what better break is there than to get outside and do some light grade mountain biking. 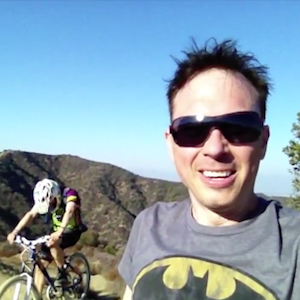 Here in this video I’m out in the Pacific Palisades area taking a quick ride up the Westridge trail with my good friend Russell Bowman and his dog Tara. Hey it’s Jody, I’m here with my good friend Russell Bowman. You’re part of this too, but yeah, wait your turn. You need to stop barking right now so I can speak. We’re in Westridge this is Russell Bowman and he owns Thunderbolt Spiritual books. He has loaned me his mountain bike. Normally I’d be on my own. But, mine is somewhere else in the world at the moment. And we’re going mountain biking today. Join us! A slow uphill climb up Westridge. Need a little seat adjustment. We don’t have the tools. So one of the last times I was riding here with Russell I came down into this ditch. And face planted. When my bike stopped dead in the ditch. Downhill here. Unfortunately, Russell’s seat clamp has broken so we can’t make it up to our goal which is that little silo looking thing up there on the top of the hill. We’re going to turn around here in just a moment and go up the single track ‘n’ go back down. We are, on our way up the Westridge single trail. Russell has got his helmet on I’m solo without helmet. Silly me for being unprepared. But. That’s what you get when you borrow. See ya on the flip side on the bottom. Russell has to walk ’cause his seat don’t work. Made it up that. I’m breathing a little bit heavier than I thought I would. But that was exciting. Next set of downhill we go. Came down that single track in the center. Coming back up the hill. Over here Los Angeles covered by clouds. Looks like yesterday when golfing. Now back down to the end. Russell and Tara up ahead. As they say – never let ’em see ya sweat.